Come see some great classic cars, hot rods, custom vehicles, muscle cars and more. 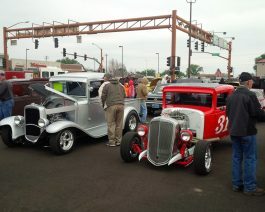 The car show begins Friday with a barbeque and cruise through town. Saturday the show begins at 10:00 a.m. with judging and an awards ceremony at 3:00 p.m.